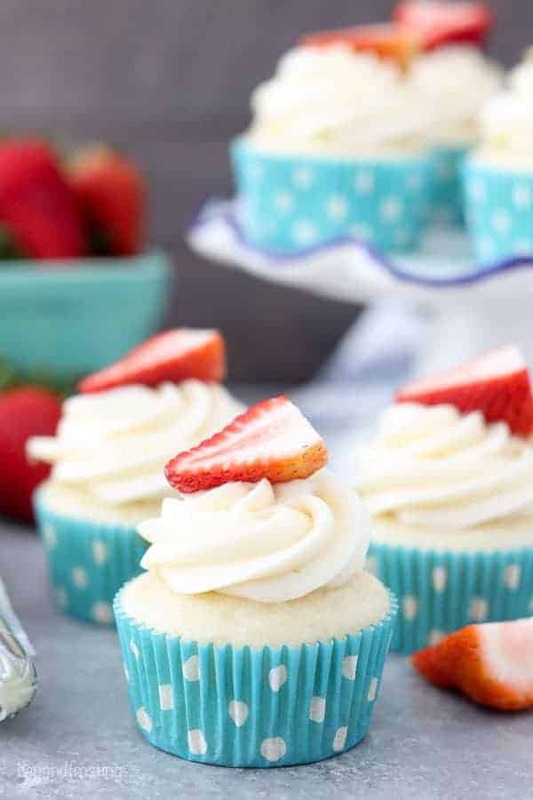 This Cream Cheese Frosting recipe is quick and easy and it’s the perfect cupcake frosting because it holds its shape nicely for piping. 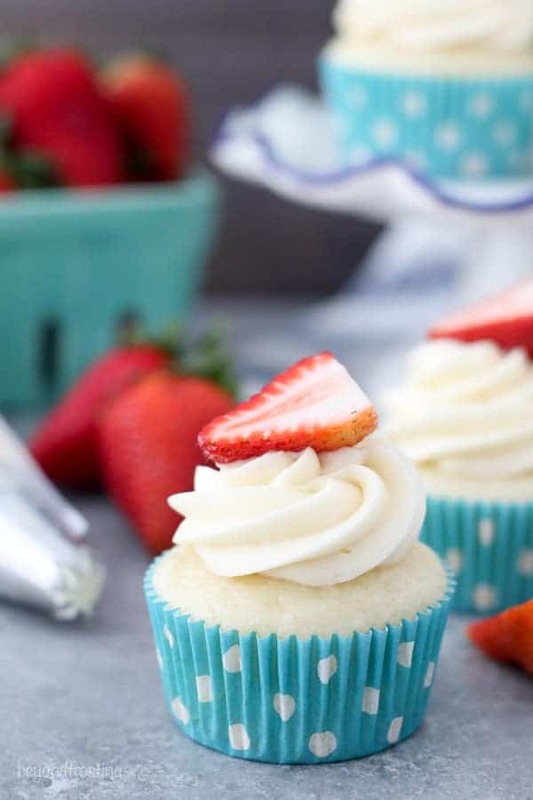 You need to try this, it’s the BEST Cream Cheese Frosting! 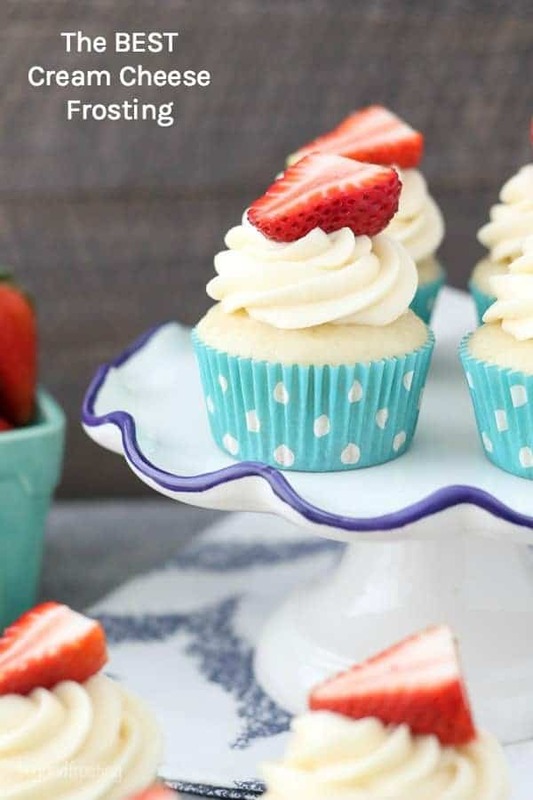 This cream cheese frosting recipe can be made for either 12 or 24 cupcakes, or a 2 layer cake. 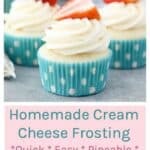 I am continuing my baking basics series today with this homemade cream cheese frosting recipe. 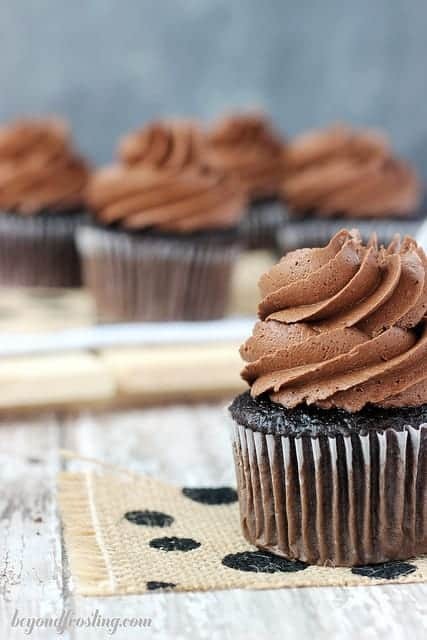 This frosting recipe is quick and easy and it’s the perfect cupcake frosting because it holds its shape nicely for piping. I believe that everyone needs to know how to make a homemade frosting, because while nothing beats a classic rainbow chip frosting, it wasn’t until I learned to make my own frosting that I started to fall in love with it. In the very early days of my blog, my boyfriend (now husband) loved when I made carrot cake, which required an epic cream cheese frosting. I first tried a recipe from Martha Stewart’s Cupcake cookbook and made some adjustments, so I had enough to frost a cake. It resulted in the BEST cream cheese frosting and it’s now my go-to recipe. This recipe is quick because you don’t have to wait for the butter or cream cheese to come to room temperature. 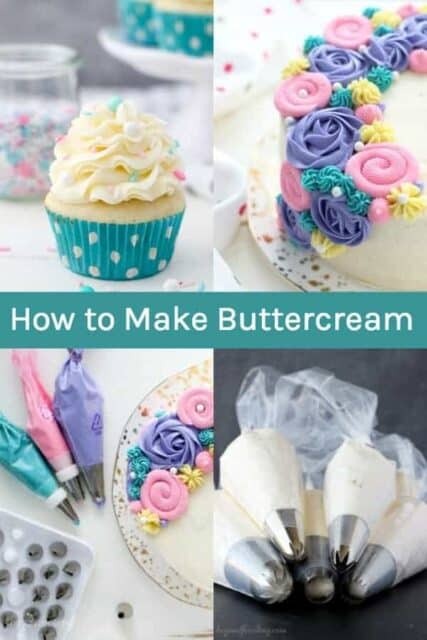 Just like my perfect vanilla frosting, I start with cold butter which helps make this frosting perfect for piping cupcakes or frosting a layer cake. However, this means that you need to beat the butter first, prior to adding the cream cheese because the cream cheese is already soft. Occasionally, I will let my butter sit on the counter for about 20 minutes or so, and if I do that, then I just go ahead and add both the butter and cream cheese together. The basics of this recipe are simple. You should use equal parts butter to cream cheese. For 12 cupcakes, that is 1 stick (1/2 cup) butter and 1 8-ounce package of cream cheese. For 24 cupcakes or for a 2-layer cake, it’s 2 sticks (1 cup) butter and 2 8-ounce packages of cream cheese. In order to get the proper consistency, you’ll need quite a bit of powdered sugar for structure. Sometimes I also add some heavy cream or milk to make it a little smoother. It’s a delicate balance because you don’t want the frosting to get too thin. When it comes to flavoring the cream cheese frosting, I tend to stick with a classic vanilla extract (or vanilla bean extract). You can also flavor it with almond extract, lemon or orange zest. I’ve even made a bourbon version. This is one frosting that is great to make ahead of time. It needs to be refrigerated, so sometimes I will prepare the batch ahead of time, refrigerate it and then allow some time for it to soften before I need to frost the cupcakes. Cream cheese frosting can be very rich, so a little goes a long way here. This is another great frosting recipe that you’ll use time and time again. Cut the butter into 1-inch blocks. Beat the butter for 1-2 minutes until it is slightly softened. Slowly add confectionary sugar and vanilla extract and beat until desired consistency is reached. I like to whip mine with the paddle attachment on my stand mixer on medium-high speed for at least 2 minutes to ensure my frosting is airy. If you find the frosting is too sweet, add 1 tablespoon heavy whipping cream and beat until well combined. Add an additional 1/2 C confectionary sugar for a stiffer consistency, if desired. You can refrigerate the frosting in an airtight container for several days. 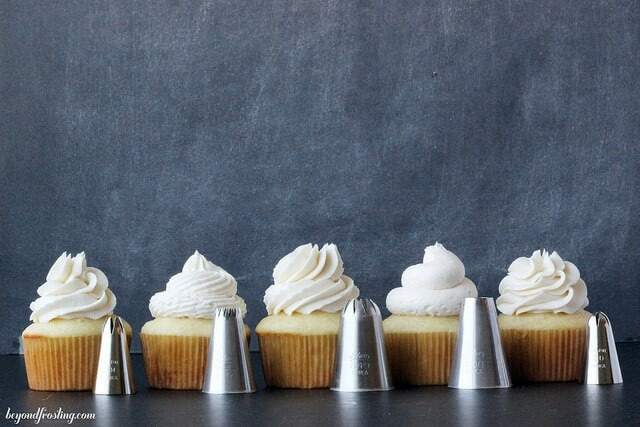 Allow the frosting to come to room temperature before using. The flavor of the frosting can be changed with almond extract, lemon zest (or juice) or orange zest. If you find the frosting is too thin, refrigerate for 30-60 minutes before using. Plan on making this tonight, has any one had experience using it in the layers of a cake? Just want to make sure it would hold up under 2-3 layers and not get runny. Hi there, I have used it on a 2 layer cake. 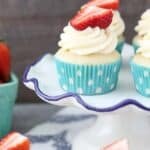 Cream cheese frosting is probably my favorite ever! Looking forward to make this recipe! I love this simple recipe! Love the decorations and colors you use!